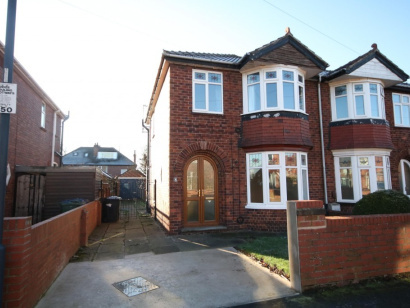 AVAILABLE - Internal viewing is recommended on this newly refurbished three bedroom semi detached house, located close to Doncaster town and Doncaster Royal Infirmary. 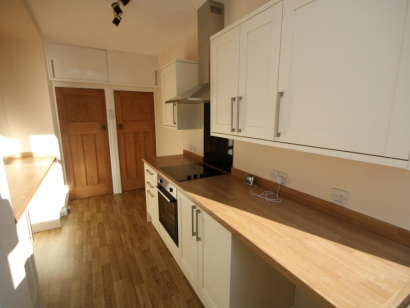 The property owner has redecorated the property to a high standard including new floor coverings etc. 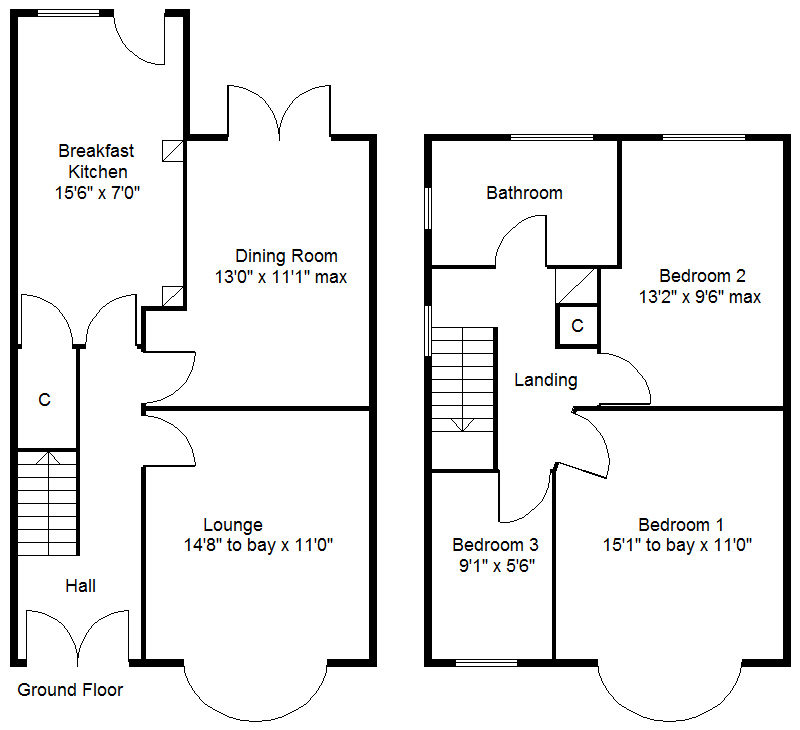 therefore, making a beautiful family home in this sought after location. It has a gas radiator central heating system via a combination type boiler, PVC double glazing and briefly comprises: Long entrance hall with stairs to the first floor, lounge with bay window, dining room with french doors onto the rear garden, extended fitted kitchen with new integrated appliances, first floor landing, three bedrooms, two good doubles and a single plus, a new four-piece bathroom including a separate shower enclosure. Outside are the front and rear gardens, with the front having a driveway and provides off-road parking plus an enclosed south westerly facing rear garden. Two PVC double glazed doors lead into the property's entrance hall. This has all been freshly decorated with a new floor covering laid. There is a staircase leading to the first floor accommodation, coving to the ceiling, a smoke alarm, a central ceiling light and a double panelled central heating radiator. A period style door leads into a front facing lounge. This has a broad PVC double glazed bay window, a central heating radiator and a central ceiling light. 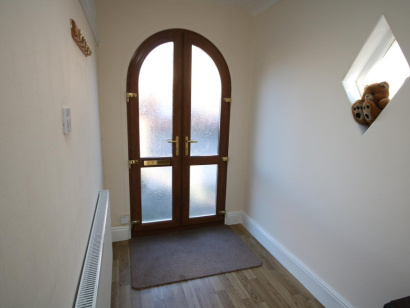 Having two PVC double glazed double opening doors which lead out onto the rear garden, a central ceiling light and a central heating radiator. It has been extended over the years and has just been refitted with a range of modern high and low-level units, finished with a rolled edge work surface, an integrated ceramic hob with a ceramic glass splashback, a single oven plus an extractor hood above. 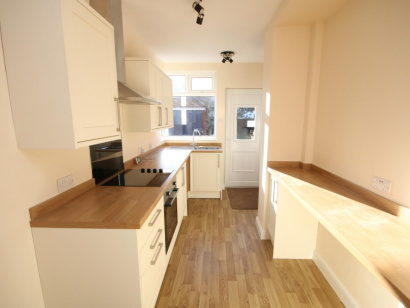 There is plumbing for automatic washing machine and further domestic appliances underneath the breakfast bar. Having a wall mounted gas fired combination type boiler which supplies the domestic hot water and central heating systems, a central heating radiator, room for a tall fridge freezer and a second door which gives access to the understairs storage cupboard. This has a PVC double glazed window to the side, shelving plus a light laid-on. There is a PVC double glazed window to the side, an access point into the loft space, built-in cupboards which conceal shelving and doors leading off to the bedrooms and bathroom. 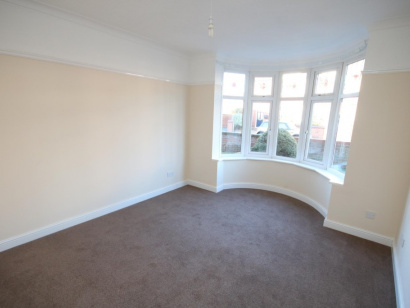 A large double bedroom with a deep PVC double glazed bay window to the front, a central heating radiator, a central ceiling light and picture rail. 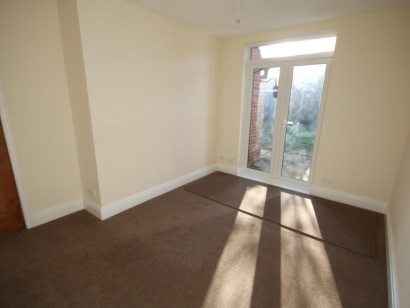 Another lovely double bedroom, it has a PVC double glazed window to the rear, a central heating radiator and a central ceiling light. Fitted with a new four-piece suite comprising of a double ended bath with a central mixer tap, a large walk-in shower enclosure with an electric shower inset, a pedestal wash basin and a low flush WC. It has been fully tiled, there is a chrome style towel/ radiator, two PVC double glazed windows, a central ceiling light and an extractor fan. To the front of the property, there is a front lawned garden with an ornamental tree inset, a concrete paved drive which provides off-road parking. To the rear, there is a nice sized garden with brick walling to the perimeters, again this is part lawned and part paved with access to a detached brick garage. Having an up and over door and two PVC windows.